For courses in Research Methods in Education. 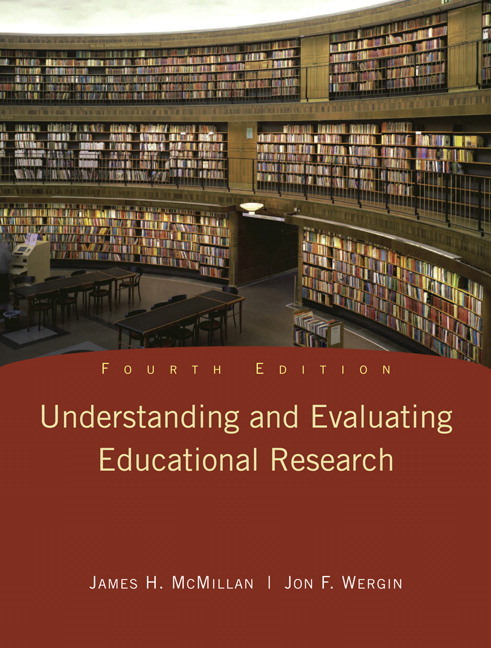 Understanding and Evaluating Research, fourth edition, is a market leading textbook appropriate for all courses in educational research. A reader, this text contains quantitative and qualitative educational research articles from a variety of professional journals. With each article is a sample article analysis and exercises that help students become better consumers of research. The fourth edition is greatly enhanced by the inclusion of new articles, advance organizers, annotations to explain different sections, revised discussion of research typology, and an appendix with answer to evaluation criteria questions. Those features together with the two mixed-method studies, revised and expanded discussion of qualitative methods, more emphasis given to randomized designs, revision of research typology, and updated articles make this a must have book for understanding and evaluating research. Readers gain useful insight on how to classify research studies, and present criteria by which all educational research should be judged. NEW! Addition of a chapter on Mixed-Method Designs (Chapter 5), and two mixed-method studies. NEW! Revised and expanded discussion of qualitative methods and designs. 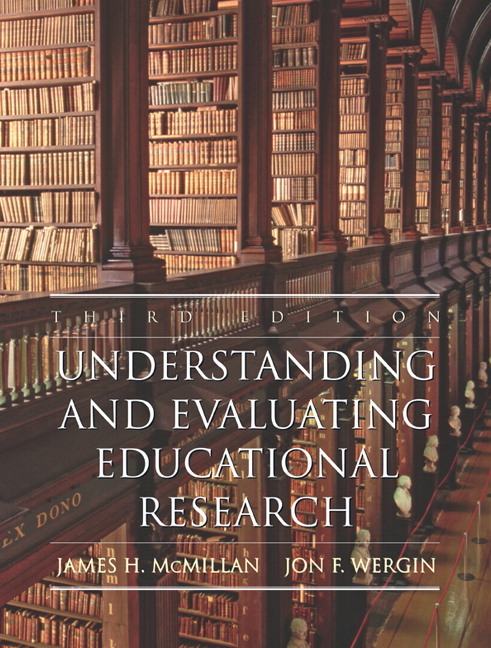 Includes characteristics of mixed-method designs and the criteria for how this type of research should be evaluated. NEW! Eight new articles on descriptive quantitative non-experimental designs. NEW! The most current, relevant articles included from a wide variety of journals and of varied reading levels. Promotes student appreciation of the diversity of published research. Representing both quantitative and qualitative methods, selected articles have been published within the past five years, representing a diverse range of topics found in education (e.g., educational administration, counseling, special education, curriculum, adult education, early childhood education). NEW! More emphasis is placed on randomized designs for the published articles found in each chapter. Credibility scorecard–Provides a scale designed to spark class discussion. Assists students in evaluating each component of an article. Coverage of important topics–Includes analytical research methods, qualitative methods and designs, descriptive quantitative nonexperimental designs, and graphic presentations of data. Research flow chart.Helps students understand the different types of educational research and the terminology associated with each type. Gives students definitions of key concepts and ideas associated with each kind of research. Lists criteria for evaluation with the authors' answers so students can see how to analyze each article. Questions for discussion–Provided for each article. Facilitates class discussion of the important concepts for each study. NEW! The most current, relevant articles included from a wide variety of journals and of varied reading levels. Selected articles have been published within the past five years, representing a diverse range of topics found in education (e.g., educational administration, counseling, special education, curriculum, adult education, early childhood education). More emphasis is placed on randomized designs for the published articles found in each chapter.